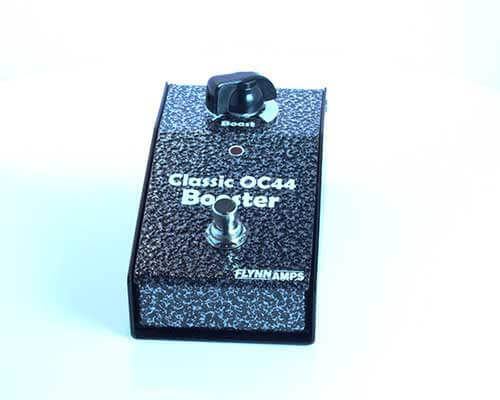 Our Classic OC44 Booster is a clone of the legendary Dallas Rangemaster. 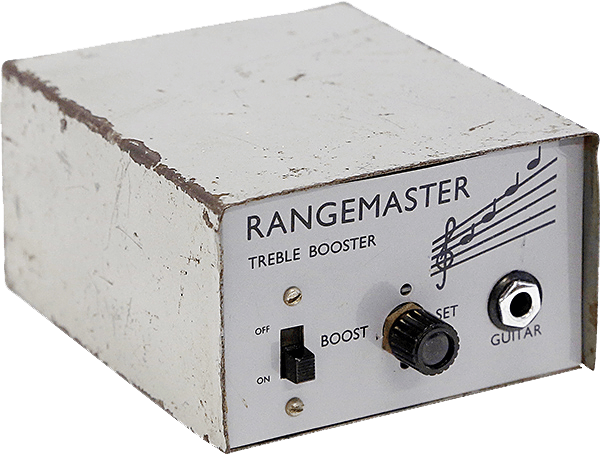 Used by almost everyone in the 1960’s, the list of Rangemaster users includes Eric Clapton (with the Bluesbreakers), Rory Gallagher, Brian May and Billy Gibbons who uses his to great effect with a Tweed Deluxe. The original ‘set and forget’ effect pedal. Most players would sit their Rangemaster on top of their amp and leave it on for the whole show. The British built amplifiers of the early sixties were very different from their American cousins in many ways. Most amps coming from the USA were using 6L6 or 6V6 output valves which gave them a brighter and tighter sound while the amp manufacturers in the UK tended to use EL84 (Vox) or EL34 (Marshall). These British amps often had a warmer and softer tone. The Dallas Rangemaster was designed specifically to boost the input of these amps and bring the tightness and the brightness back. The guitar players in new Blues scene that emerged in 1960’s Britain were looking for more bite in their tone and the Rangemaster was the perfect choice. 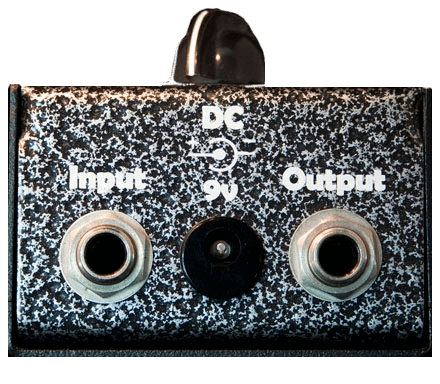 The list of Rangemaster users includes Eric Clapton (with the Bluesbreakers), Jimmy Page, Jeff Beck, Rory Gallagher, Brian May and Billy Gibbons who uses his to great effect with a Tweed Deluxe.